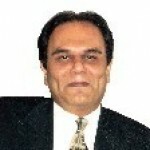 Imtiaz was a pleasure to work with during the process of purchasing the property. He was professional, easy to communicate with and punctual. Keeping in mind that I was a first time buyer, Imtiaz offered helpful guidance throughout the process. He helped me get a good rate for my property. Would definitely recommend.